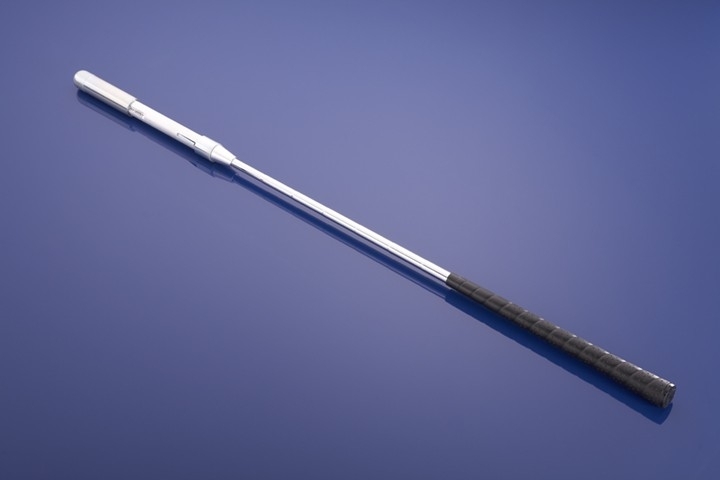 If I’ve learned anything about models and motion in my near-14 years of research and analysis on the golf swing, it’s that the simpler, the better, with one caveat – retaining mechanical soundness or correctness. Which means, the less moving parts you have in the model, the better it will function, until you remove too much and make it mechanically-unsound. For example, the biggest and greatest and most harmful swing flaw that comes to mind is the nailing of the leading heel to the ground on the back pivot, thereby restricting and the hip turn. 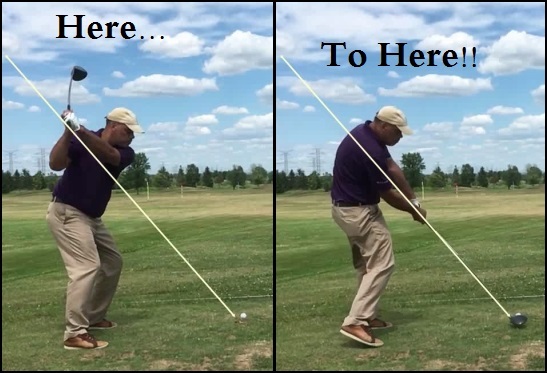 A lot of misguided swing gurus and instructors will say, “This is better because you have fewer moving parts,” or something along that line. What they mean is that with less hip turn due to the nailed-down leading heel makes for a simpler, less-moving-parts swing action. Which then brings you to all of the stuff that the so-called simpler swing was supposed to remove – extra moving parts! Looking above, you see how the mission to make the swing simpler just made it more complicated when you left the realm of mechanical-soundness to try to make it even simpler. The problem is, if you remove essential parts of any machine to give it “fewer moving parts,” you have now ruined the very machine you were trying to improve! When they either stopped laughing or crying, they’d likely ask you if had not learned anything from them at all, correct? Because the hip turn is the source of power in any swinging motion with the body, and the legs are what make the hips turn. 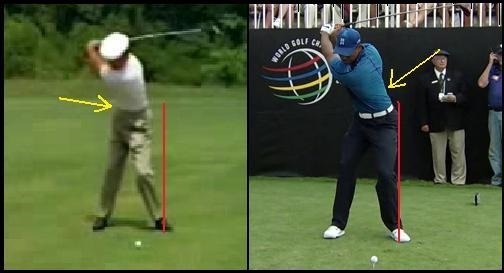 Remove the proper motion of the hips and legs from any swinging motion and now you’re in trouble. But that (changing the motion of the legs and hips from the natural action) is the essence of the religion of the Modern Golf Swing. Everything I’ve looked at with regards to my own optimal “tight” pivot and top position falls in line with proper motion theory. The tighter position gives my own swing fewer moving parts while retaining the essential moving parts, which will make my own swing more powerful, more accurate, more consistent and less prone to injury than before. And that, I would have to think, is a good thing! This entry was posted in Golf Swing Biomechanics, Leverage, MCS Golf Swing, Modern Swing, Pivot and tagged DJ Watts, Golf Swing Biomechanics, Leverage, MCS Golf Swing, Modern Golf Swing, Pivot, WAX Golf on January 3, 2019 by D Watts. I believe some people have problems with lifting the lead heel because in their set-up they bend from the knees into the ground (no mobility) vs bending from the hip sockets with their rump behind their heels and letting their knees adjust accordingly. By bending from the hip sockets, the momentum of the takeaway can let the heel detach without thinking about it. If your weight is toward your toes when you set up, it creates an out of balance condition from the start. Once you lift the heel, you will fall forward towards the ball. This will make you stand up during the swing to regain balance, causing you to lose the angle of address and all your measurements go out the window…The C7 moves and so does the swing bottom. You have to counterbalance the weight with your posterior because the force of the downswing will always pull you forward. Set your posterior and keep it level through the whole swing. Look at Dunaway in the video above and watch his posterior, sets it behind his heels and forgets it.